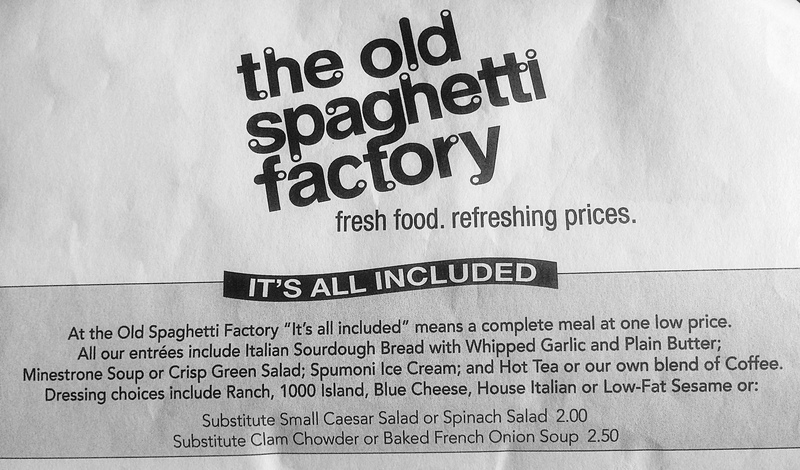 It seems counterintuitive, but The Old Spaghetti Factory, which is an Italian-style chain restaurant in the United States, Canada and Japan began adding some low-carb options to its menu that fit with a Paleo or Ketogenic diet. Typically acclaimed for its pasta options, this chain has diversified its entrées to help support the wave of support for patrons searching for other options. In the U.S. it’s head office is based in Portland, Oregon, while the Canadian operation is run out of Vancouver, BC, Canada. As of 2018, the U.S. company alone had 43 restaurants, in 13 states (Arizona, California, Colorado, Hawaii, Indiana, Kentucky, Minnesota, Missouri, Ohio, Oregon, Tennessee, Utah, and Washington). 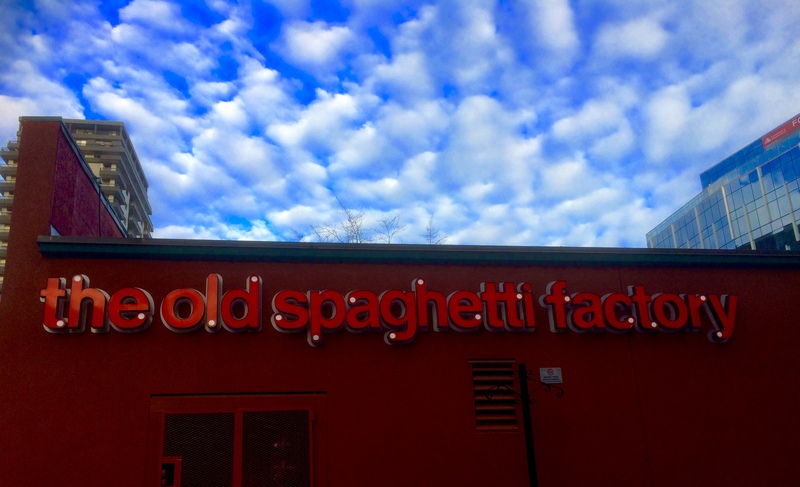 The Canadian company has 15 Old Spaghetti Factories in 4 provinces (British Columbia, Alberta, Manitoba, and Ontario). The chain also boasts sites in as far away as Japan (Kobe and Kawagoe). What’s really enticing about eating at this chain is that it offers full-service meals at fast-food prices and nearly every item on the menu is made on-site, from scratch, using fresh ingredients. Unlike most restaurants, when you order our entrées, they serve you a complete meal, which includes bread, soup or salad, and dessert. They also boast a kid’s menu, special treats and fun activities that encourage families to feel at home. Also, the service is impeccable and quick, lineups are usually not that long and because of their large tables, they are typically able to accommodate extra large groups of diners (even higher than 20). If you are searching for a Paleo/Keto option I highly recommend you try their Mediterranean Salad, but opting out of the “all included” items that don’t match your low-carb diet. That means forgoing the Italian Sourdough Bread and Spumoni Ice Cream but saying yes to substituting the $2 Spinach Salad for your free Starter Salad (Make sure you ask for dried cranberries and dressing on the side). 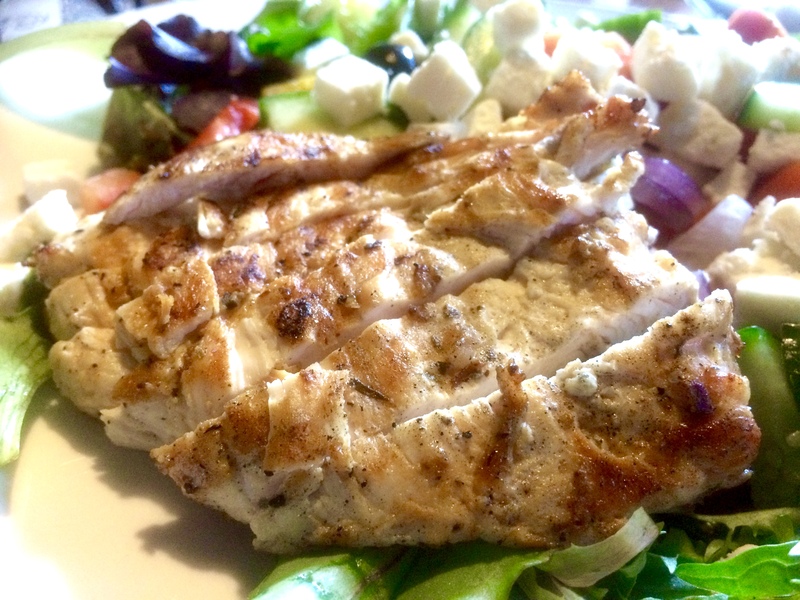 When ordering your main Mediterranean Salad Entrée, I suggest you add hot grilled chicken or sauteed prawns and then ask for the Balsamic Vinaigrette and Candied Pecans on the side. If you don’t like that aftertaste of onions, then you should probably request they remove them entirely from the salad as well. 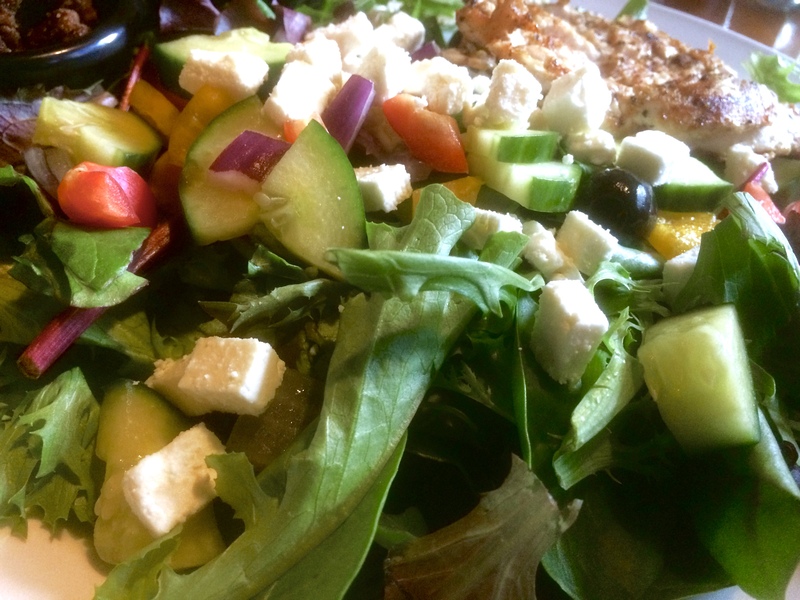 As you can see from the following photos, the Entrée Salad is large and contains a nice range of spring mix, cucumbers, red pepper, black olives and a plentiful sprinkling of feta cheese coupled with fresh cherry tomatoes. 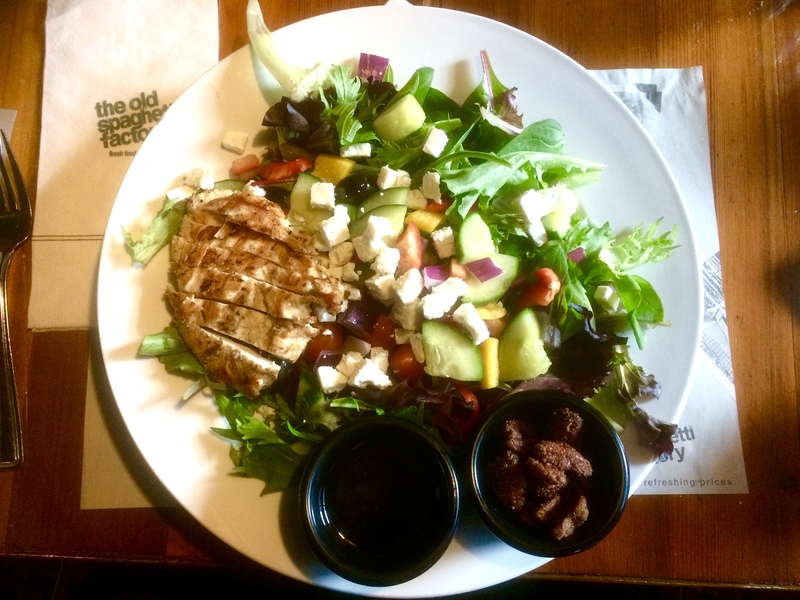 After finishing the small appetizer Starter Salad, this Entrée proved delightfully filling yet light…in fact, I could almost sense my body responding positively to the health benefits of the right mixture of good protein coupled with fresh greens. 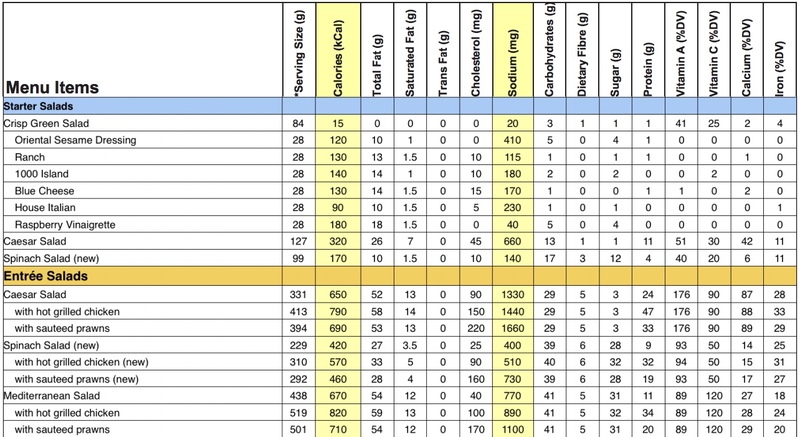 Although the standard breakdown of this Entrée is listed at a whopping 820 calories per serving, with 34 grams of protein, the fact is that by removing the balsamic vinaigrette (170 calories, 1 gram of carbs) and candied pecans (Roughly 66 calories, 3.7 grams of carbs) you significantly lower the total calorie content to a reasonable level (Roughly 584 calories). If you want to lower it even further then ask them to remove the feta cheese (For roughly another drop of roughly 75 calories). 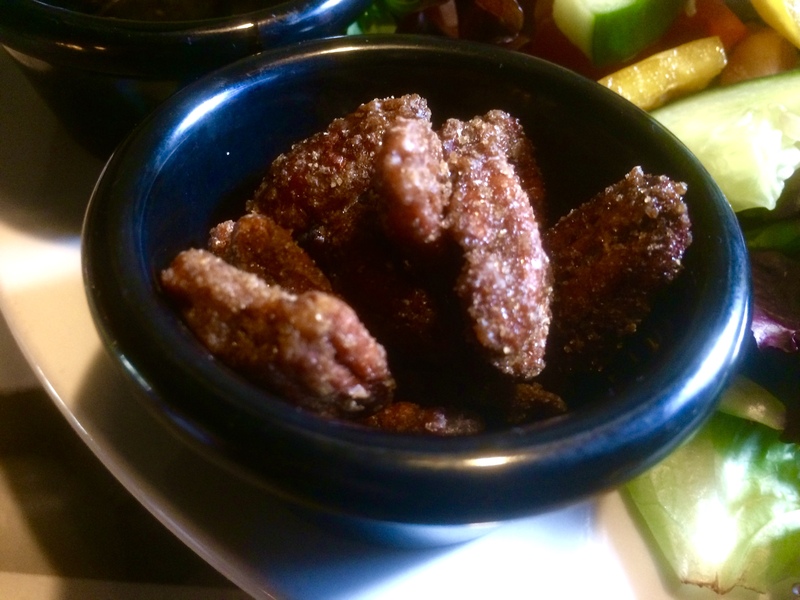 As for dessert, if you really want to have just a bit of a medium-carb option I suggest savoring the delicious candied pecans one at a time, as the mixture of sweet, spicy and nutty taste is perfectly achieved through what appears to be a coating of sugar mixed with a hint of paprika or cayenne pepper for a truly savory finish. 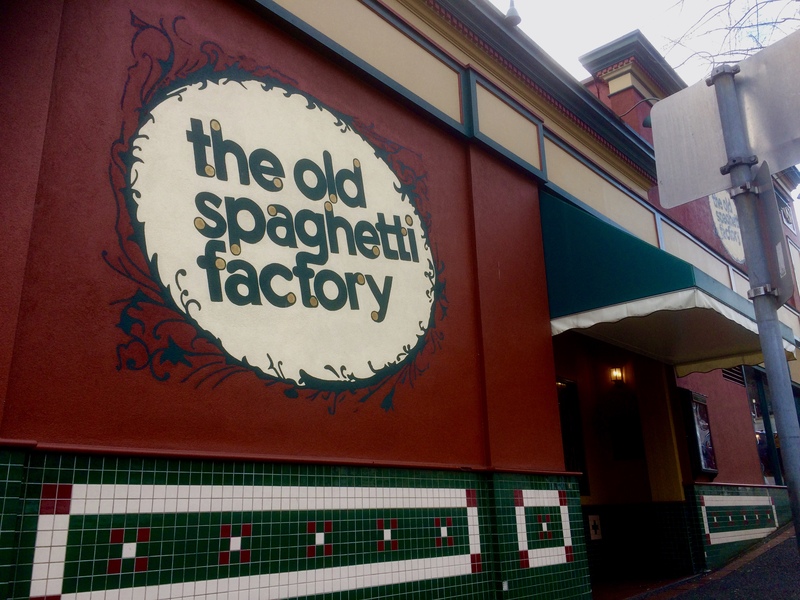 The other key aspect of dining at the Old Spaghetti Factory is their focus on creating intimate spaces with warm comfortable lighting reminiscent of the 1920s and ’30s. A meal there is definitely an experience because they’ve invested meticulous attention to their décor so that guests feel as though they’re stepping back in time. To achieve this many of the chain’s restaurants are located inside renovated warehouses and historic locations with décor traditionally featuring rare antiques, intricately stained glass displays, antique lighting (Tiffany lamps), including chandeliers, gleaming brass headboards, and footboards as bench backs for booths. 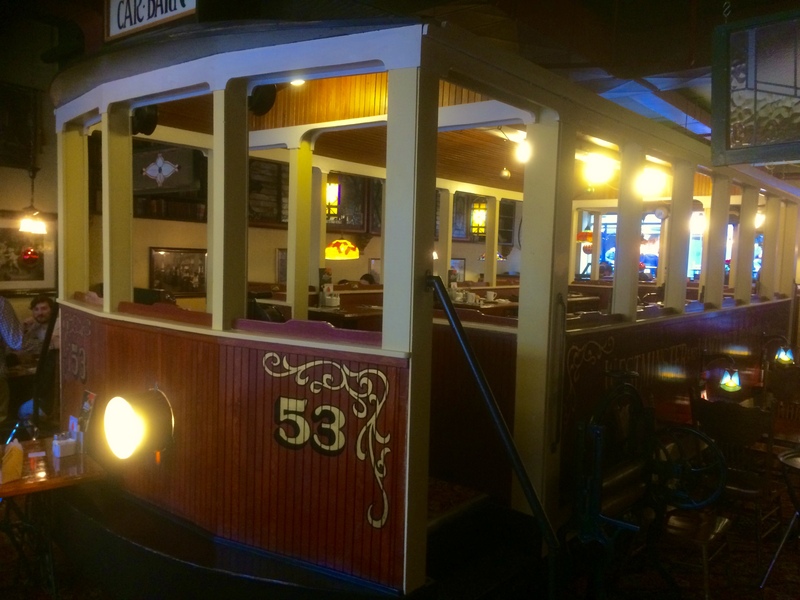 Also, each restaurant’s most prominent feature is a refurbished streetcar (Trolleycar) in the middle of the restaurant with seating inside along with authentic memorabilia from the local area. In closing, I’m giving this chain 5 out of 5 stars for decor and ambiance, 4 out of 5 stars for service and availability of seating, 5 out of 5 stars for low prices, 5 out of 5 stars for ingredients and freshness, and 3 out of 5 for offering a range of low-carb low-calorie nutritious menu options.